Gooooooooood Sunday morning Unity friends! 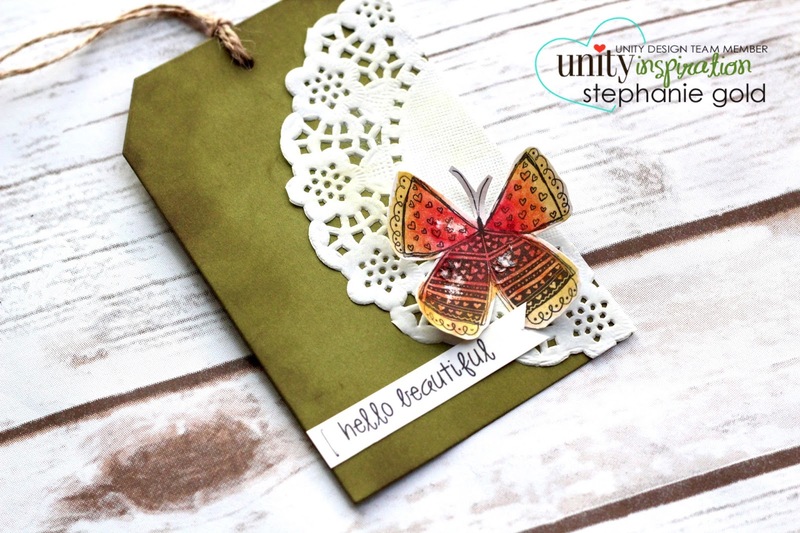 Stephanie Gold here with a Stamp of the Week (SOTW) project inspired by Angela's art journal video the other day. Do you see the subtle distressing on the butterfly? I created this effect by first painting the butterfly and then when it was almost dry, I lightly erased over it in certain areas to pull up some of the paper. 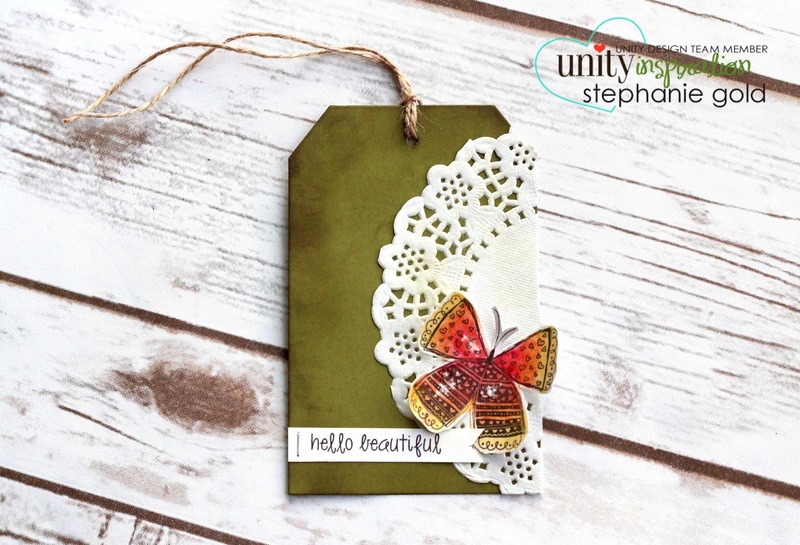 To add to the distressed feel, I used Tim Holtz inks on the tag, doily, and the sentiment strip. I love how it turned out! Something a little different. :) Alrighty everyone... here is your link to sign up or get more info on the Stamp of the Week if you aren't a member yet! And don't forget to shop Angela's incredible sales!!!! Much love people!